The naira is currently being exchanged at the rate of N400 to a dollar at the parallel market but other sources claim the greenback has improved to N380. 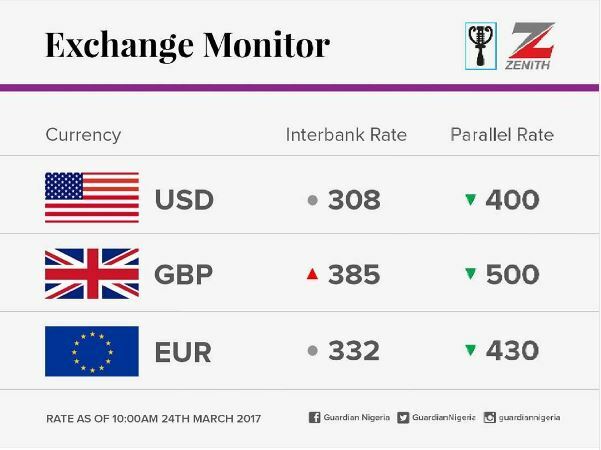 These are the currency exchange rates for today, March 24, 2017, powered by Zenith Bank Plc. Definitely a welcome development.